Alcohol was not a factor in the ferry accident that prompted the rescue of 114 people in lower Manhattan, authorities said Tuesday. 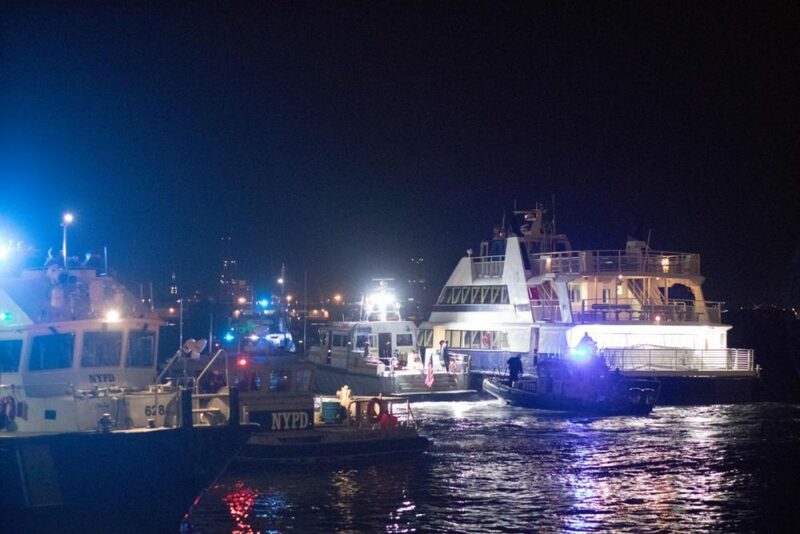 The boat’s captain, Michael Sabatino, has been sidelined while investigators examine why the NYC Ferry became stuck on a sandbar about 100 feet from Manhattan’s Pier 11, off of Wall St., around 5:15 p.m. Monday. Coast Guard investigators are looking into whether the crew — including Sabatino — followed proper protocols. “When our investigation officers arrived on scene, they questioned all crew members individually to gather a narrative of the incident,” said Petty Officer Steve Strohmaier, a spokesman for the Coast Guard. He confirmed Sabatino did not have alcohol in his system. Investigators will also determine if the ferry’s maps and nautical charts were up to date. The boat, named the Zelinsky, was docked Tuesday at Pier 15. It is owned by Hornblower, the company hired to run the city ferry service. Although the boat took on water, it was never in danger of sinking, authorities said. Coast Guard divers sent into the East River to inspect the ferry found two small breaches in the hull — but six gas-powered pumps kept the vessel from flooding. Sabatino was one of two Staten Island Ferry deckhands who saved Hannah Upp, a Manhattan teacher, in a dramatic rescue in 2008. He took a motorboat from the Ferry after a captain spotted Upp floating in the chilly waters off Staten Island. One past employer, a salvage company captain who declined to give his name, said Sabatino worked for him as a diver, and was fearless and gung-ho, but cautious. “He would have the (nerve) to do it (dive), but he was also safe,” the former boss said. His LinkedIn profile shows he’s worked as a captain, a diver and a dock builder for cruise lines, towing and salvage companies for 14 years. Sabatino, couldn’t be reached Tuesday night, and his fiancée angrily declined comment at his Brooklyn home.